Cardio exercise is anything that raises your heart rate. Our bodies were made to move. To keep our muscles in shape, we need to regularly move them. By doing this, we’re making the muscles stronger and creating a more efficient and healthy body. But did you know that your heart is actually just a muscle? So if you undertake some regular cardio exercise, you’re also improving your heart. And a strong heart means that more oxygen will be delivered to your other muscles. This means you’ll burn more fat – both during exercise and when at rest. 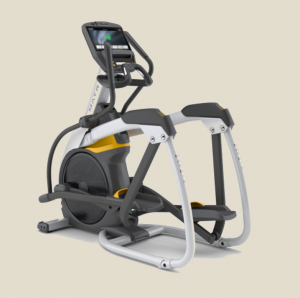 Ingrebourne Links Golf & Country Club have invested in some of the very latest cardiovascular equipment from Matrix, the leading manufacturer of fitness equipment in the world. 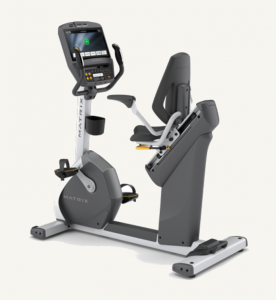 The Matrix treadmills are the perfect balance between engineering, aesthetics and usability. 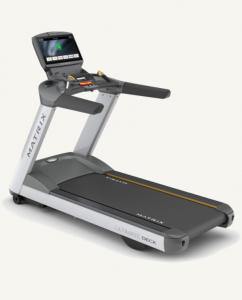 You can enjoy a smooth running experience with intelligent control board to fine-tune the treadmill’s response based on your unique footfall pattern. Steppers have been a firm favourite with gym users for many years now due to their low-impact on the knees and joints. Matrix Steppers are designed to mimic the feel of real climbing yet offer a comfortable and highly efficient exercise experience. People come in all different shapes and sizes and the Matrix cycles make it easier than ever to adjust saddle height and legroom with a simple one-hand adjustment. In addition, the Ergo Form seat back, you receive a premium combination of comfort, support and ventilation while you workout. ClimbMills give you an authentic stair-climbing workout – a great exercise for strengthening your heart. 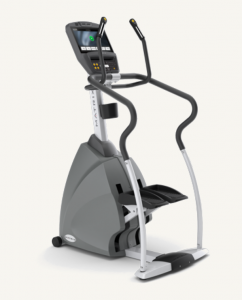 The Matrix ClimbMills have a full 10-inch deep step to accommodate a wide range of users, along with the same intuitive touch-screen controls that accompany all of the Matrix cardiovascular machines. 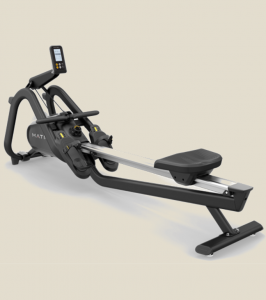 Rowing uses virtually every major muscle group in your body. With little pressure on the joints, due to the activity’s low-impact nature, you will work your legs, hips and buttocks with every stroke. They also use upper-body muscles, strengthening the back, shoulders and arms. 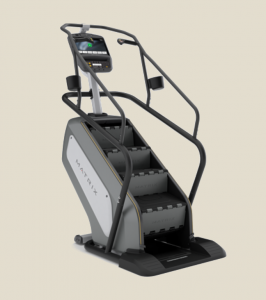 Responsive incline adjustment and variable stride length ensure that the Matrix Ascent Trainers deliver a dynamic exercise experience for our members. Furthermore, with integrated incline and resistance controls, you have instant access to the key functions of the machine. Health club membership comes in various different categories. Contact us today to arrange a tour of the fantastic new facilities and to be shown the range of membership options available. Connect with us on Facebook, Twitter, Linked In and You Tube.